Extremely deep cycle and durable AGM batteries for photovoltaic and drive applications. 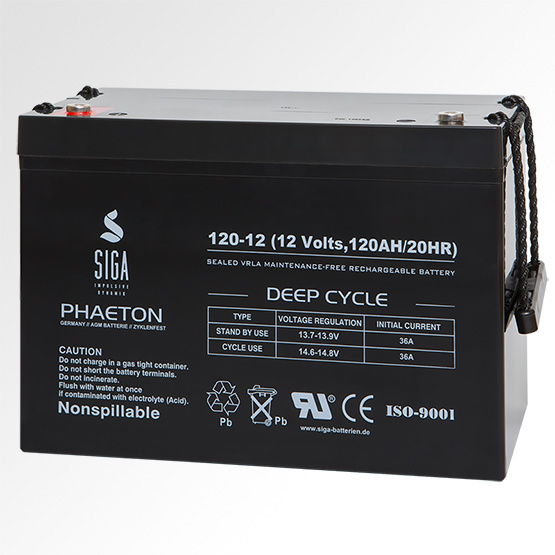 The extremely deep cycle Phaeton AGM batteries were designed for very hard and regular cyclic operations, and count on the German market to the highest quality batteries. The very high manufacturing technology, the consistent high quality and long life characterize this AGM batteries. The batteries provide an optimum supply energy for very strong cyclical operations for private and professional use.